Check out our recent projects page to see our work! Take a look at the various jobs that our technicians have tackled. 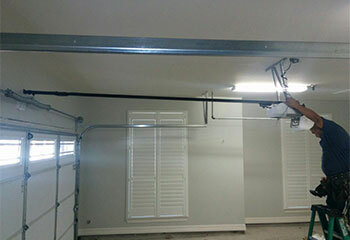 We’ll show you how we install new garage doors, fix all types of openers, replace cables and much more. Our Solution: After examining the remote we quickly determined that it was beyond repair. However, we had another solution. 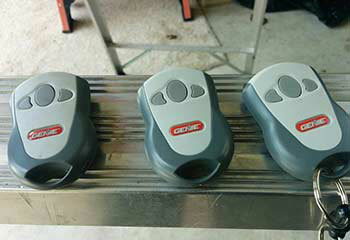 We offered him a Genie garage door opener 3-Button Remote which was a great improvement over his previous model. 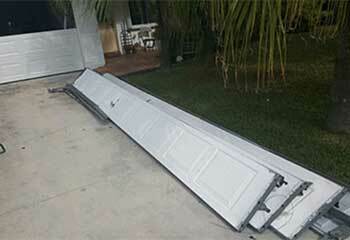 Our Solution: This customer’s door had been dented in a recent car collision, and needed replacing. We removed the affected panels and installed new ones of a matching design in their place. We then made sure there were no gaps left, through which hot air could escape. Customer Issue: The gear sprocket had been worn out. Our Solution: We cleaned up the white shavings to stop them from getting into other parts of the motor before replacing the gear unit. 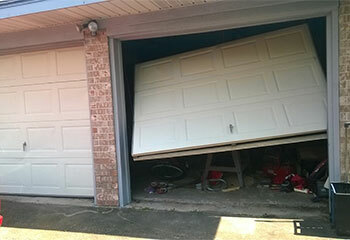 Customer Issue: The customer bumped the door while backing out of his garage, knocking it off its track. Our Solution: We first checked for damage before mounting the door back on the track. 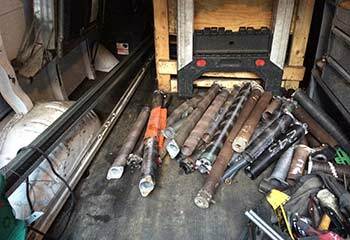 We also replaced a few rollers that had been broken. Customer Issue: One of the extension springs was broken and the door couldn’t be opened. Our Solution: As a preventative measure, we replaced both the 210-lbs springs and made sure they were adjusted correctly to manage the weight of the door.